Sapofection may sound like a term from a science fiction story, but it is a process that naturally exists in plants. To give some background about sapofection, in molecular biology, transfection is a technique used to deliver nucleic acids into a eukaryotic cell. One significant problem facing scientists wishing to perform transfections is the cellular toxicity induced by many of these methods due to the need to compromise membrane permeability to allow for introduction of the exogenous DNA. This is further complicated by the toxicity of reagents needed to induce transfection, including the transfected DNA itself. Of the many methods used for transfection, only viral transfection/transduction is considered nontoxic. However, there is a need for virus-free methods of transfection that are effective and inexpensive. To address this need, Sama et al. developed and published a technique called sapofection. This method utilizes the properties of a naturally-derived plant molecule, Sapofectosid, a triterpenoid saponin. Sapofectosid is a natural transfection reagent that works by preventing lysosomal degradation of endocytic cargo. Sama et al. hypothesized that this mechanism could be used to induce cellular uptake of exogenous DNA to effectively transfect vectors into cells of choice. In this paper, Sama and colleagues isolated endotoxin-free GFP-expressing plasmids from E. coli cells using a ZymoPURE Plasmid Kit. These plasmids were then incorporated into nanoplexes to facilitate endocytosis of the DNA. The resulting nanoplexes were then mixed with Sapofectosid and introduced to target cells. Sama et al. 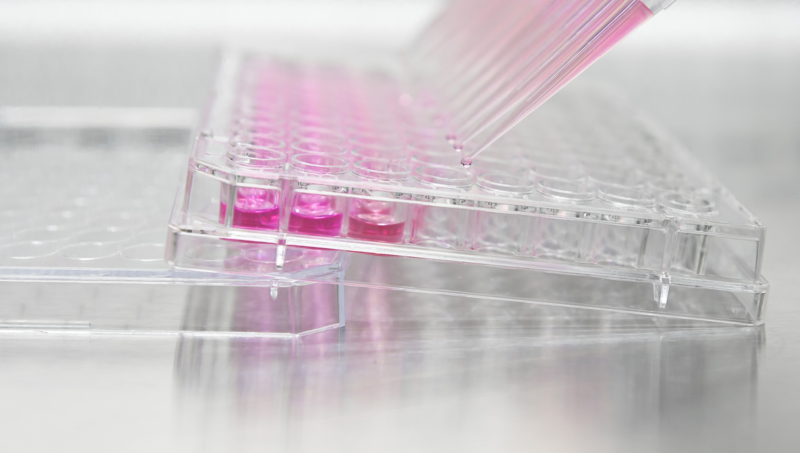 demonstrated mixed success, with transfection efficiencies ranging from 6% - 76% . Despite this, these results prove to be an important step in the development of novel nontoxic methods of transfection. With future experiments and further research into refining the process of sapofection, scientists may be able to unlock the door to nontoxic methods of transfection. Moreover, nontoxic delivery could enable greater access to modification of cells that are extremely sensitive to transfection reagents, thus enabling new avenues of research. 1. Sama, S., Jerz, G., Schmieder, P., Woith, E., Melzig, M. F., Weng, A. 2017. Sapofectosid – Ensuring non-toxic and effective DNA and RNA delivery. International Journal of Pharmaceutics 534: 195-205. 2. Weng, A., Thakur, M., von Mallinckrodt, B., Beceren-Braun, F., Gilabert-Oriol, R., Wiesner, B., Eichhorst, J., Bottger, S., Melzig, M.F., Fuchs, H., 2012. Saponins modulate the intracellular trafficking of protein toxins. J. Control. 164:74–86.